да седна и аз да паса! Sorry, got distracted. Soo.. ideas, so many ideas. 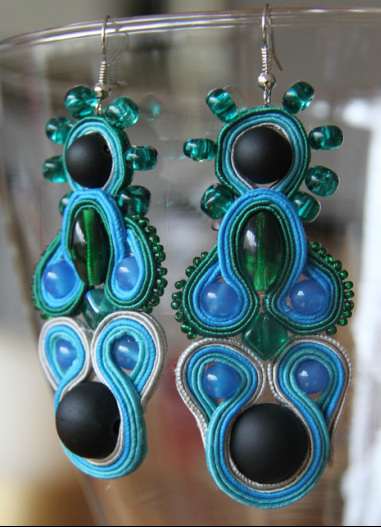 To the right, my first soutache earrings. And since it's a technique you might get interested in, I made you a short tutorial. The easiest way is to pick an accent bead and several smaller ones. 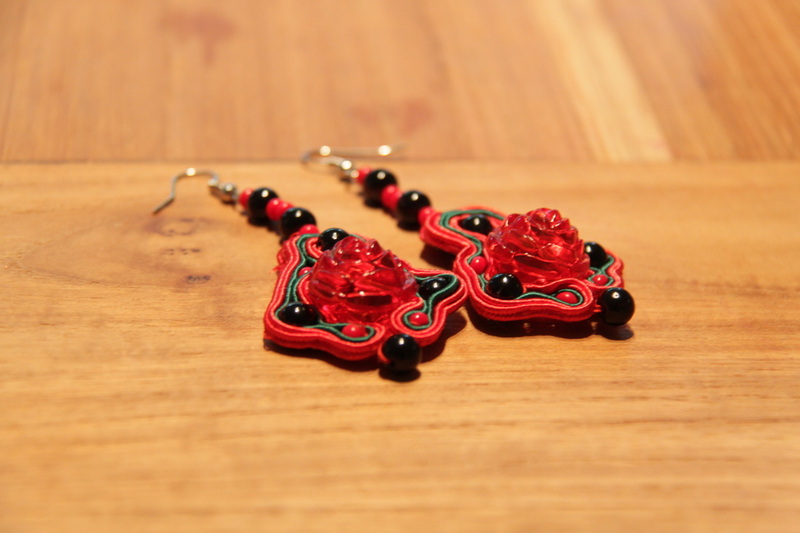 Then, put together several soutache braids, wrap around a bead and sew. You can choose transparent cord, but I would suggest a normal/silk thread, since it would hold better. Keep adding beads according to your design. Once you're finished, glue the ends to the back.